This one is for CMS. 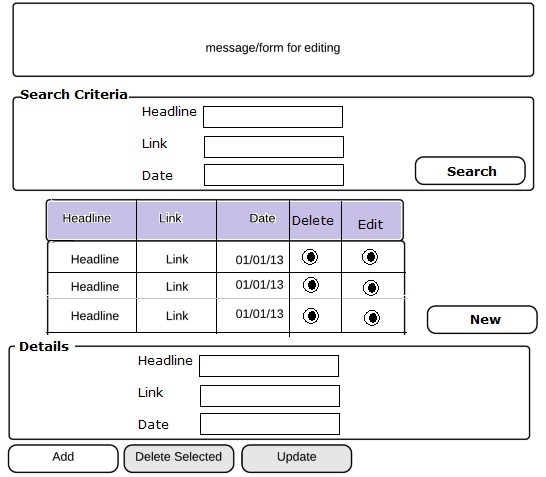 The user should be able to add,delete,update and search through a table in a single page. Now where and how do I fit the search controls without crowding the page? The search is based on multiple parameters hence will have multiple inputs. Any ideas please? Any thoughts on the current layout is also welcome. Some thoughts of the design. 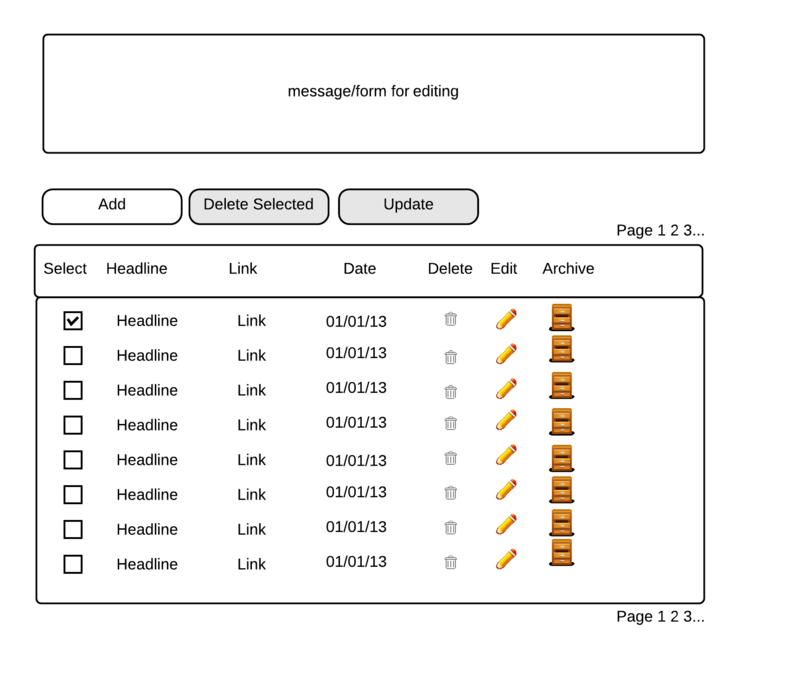 Use disappearing messages, they overlap content but auto-dissapear or closed by user. It's not only more natural but also saves the space. 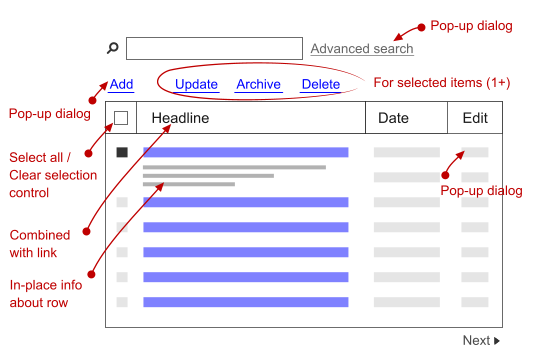 Don't hide primary tools, as it requires more cognitive load to discover hidden rules. Introduce Search Criteria. User can input some or all fields in the criteria and click Search button. The below grid / table will be refreshed every time Search button is clicked. Selection of a row in the grid / Table will show the row details in the below Details frame. If user selects Delete option in any row of the table, corresponding row details are displayed in the Details frame and user can click Delete Selected button to finally delete the record. If user selects Edit option in any row of the table, corresponding row details are displayed in the Details frame and user can click Update button after making changes to existing details. Tables with a lot of rows - where should the delete option be? If I start editing one table cell without saving changes to another cell, should it apply my unsaved changes? Should previously selected rows of a table (via row checkboxes) be retained when the user uses a search box to search for a table entry?